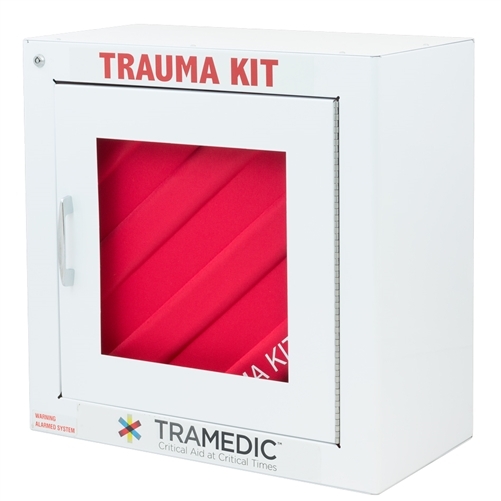 The Tramedic™ Cabinet Kit is designed for use in industrial facilities, educational facilities, sporting venues, and areas where a larger number of people are present. It is slightly smaller than our larger Wall Mounted Kit and is housed in a wall-mounted case. The cabinet can be locked or integrated into your current alarm system. The removable hard case has a top-mounted easy-carry handle. Each kit arrives with our individual sub-kits and are easily identifiable by number, color code, text, or icons. The kits are also bilingual with English text prominently displayed and supported by Spanish sub-titles. 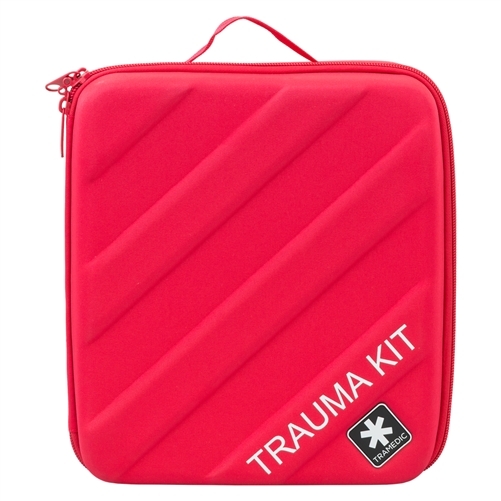 The center of the Tramedic™ system is the removable decision tree, or flowchart, that is attached to the center of the hard case. This chart is your guide to prioritizing treatments and selecting which kit to use in a given situation. The back side of the chart, printed with high visibility yellow and the word casualty, can be used as a signal or marker to guide rescue personnel to those in the greatest need of help. 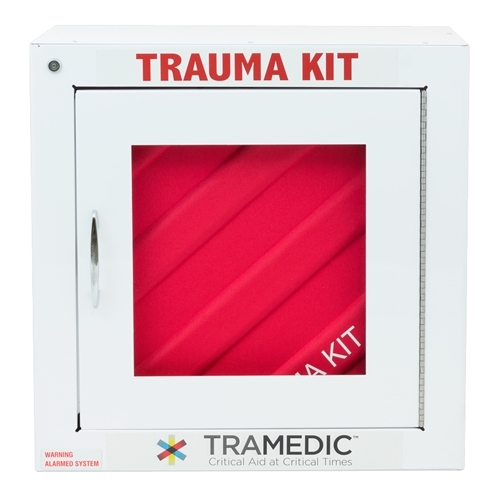 With the Tramedic™ Cabinet Kit, you will receive 50 licenses to our training portal, where videos detail the components of each sub-kit. Designed to be viewed by users of all ages, these videos are not only informative and educational, but they could save a life. Access to the training site allows facility training managers to assign videos to personnel and staff as well as track their progress. Another way we work to make your life easier is by providing kit tracking for product expiration dates. We maintain a log of the components used to pack your individual kit. As long as the original seal remains on the kit, we can track and notify you of any product that is approaching expiration and needs to be replaced. 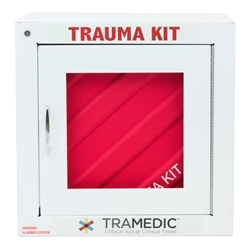 Currently, the Tramedicube™, Tramedic™ Cabinet Kit, and Tramedic™ Wall Kit are able to be tracked. 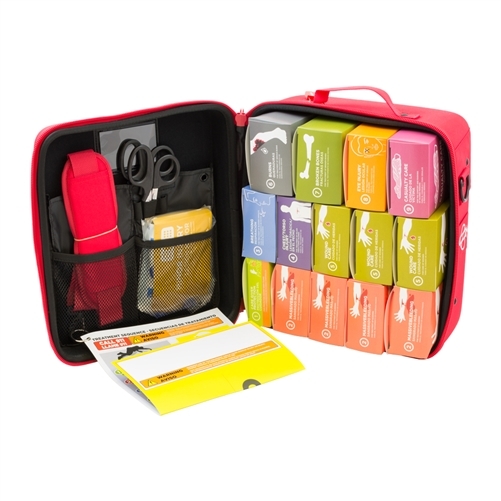 With a clean, eye-catching design, the kit will be noticeable enough to locate in an emergency, but won’t interfere with the overall feel of the structure. It’s more than first aid. It’s the Tramedic™ Difference.